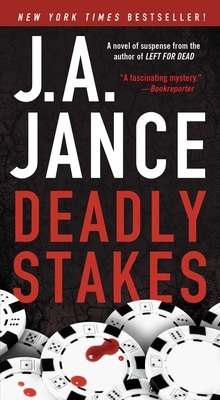 Former reporter Ali Reynolds finds herself working against the police to add up the clues that connect one frightened teenager, two dead bodies, and $300,000...with the body count rising. Hired to investigate the grisly murder of a gold-digging divor­cée on behalf of the woman accused of the crime, Ali Reynolds is immediately drawn to the case of the secretive teenager who found the body. A. J. Sanders was in the Camp Verde desert to retrieve a mystery box buried by his absent father—a box that turns out to be filled with hundreds of thousands of dol­lars’ worth of poker chips. When a second body is found in the desert, it seems the three cases are more closely related than anyone could have imagined. Though Ali’s friends in the police department grow increasingly irritated by her involvement, Ali must stop a ruthless killer from claiming another victim...before she is lost in this game of deadly stakes.